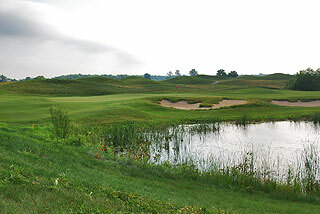 Purgatory Golf Club in Noblesville is a championship Ron Kern design that is reminiscent of traditional Brittish links layouts. 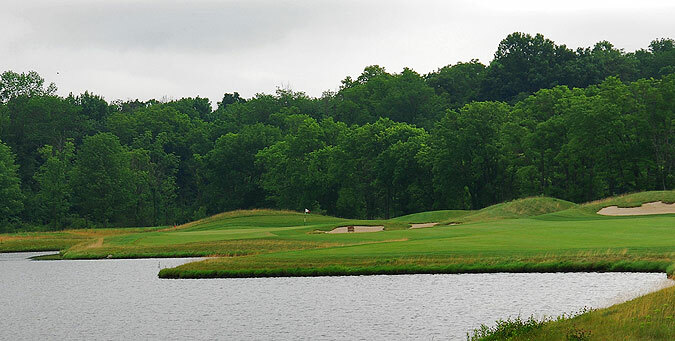 There are many links style courses in the Indianapolis area - what we found different at Purgatory is that the fescue and heather situated in the fairway and greenside mounding is not there simply for aesthetic reasons, it prominently comes into play. Land in the first cut of rough and your ball is very playable. Land in the fescue and escape rather than recovery will be your frame of mind. Tall grasses are also prevalent along the walls and lining of many of the fairway and greenside bunkers (made of crushed limestone), which total 125 in number! This course is wonderfully conditioned from tee to green, and also provides some nice amenities. 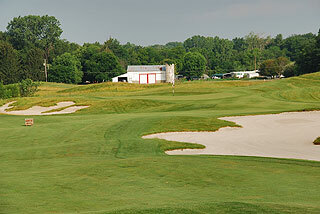 Practice facilities are comprehensive with a grass range, putting green and short game area with sand bunker. The beautiful wooden clubhouse features a pro shop plus restaurant/outdoor patio with beverages and hot and cold sandwiches plus a full bar available. Restrooms are wonderfully appointed with showers in place - and locker rooms were nearly completed and ready for use during our July 2005 visit. Banquet/outing facilities for up to 250 people are also on property. Water comes prominently in play on 5 holes - three on the front and two on the back side. Like many links style layouts, mounding and tall grasses usually line the manicured fairways on either side, separating holes which run parallel in opposing directions. A key to scoring well here is to hit the wide landing areas off the tee, while avoiding the fairway traps that can make recoveries for par quite a feat. There is a variety of green complexes that call for the full array of short game shots, including the bump and run plus high lobs. 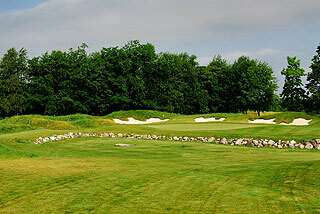 Some fronts are level and open, while others are well protected by bunkers, mounding, swales and collection areas. 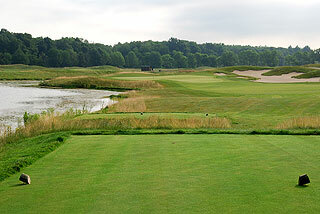 The tee areas are sculpted from fields of fescue, and provide five sets that play to a variety of distances and slope. 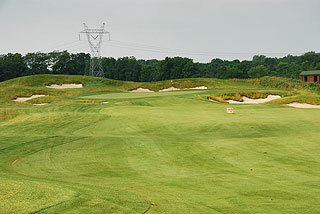 This is the LONGEST COURSE IN INDIANA - with tips that play to 7745 yards with a slope of 142. 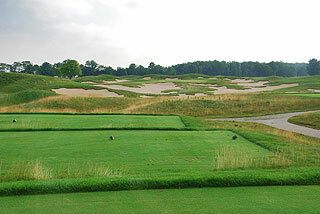 The black tees would be the longest on most courses, as they play to 7268 yards/137 slope. Alternate sets measure 6796 yards/131 slope, 6422 yards/128 slope, 5683 yards/121 slope for men and 126 for women, and 4562 yards with a slope of 115 for the ladies. The course is well marked with color coded blocks at 100, 150 and 200 yards, plus sprinkler heads that are measured to the center of the green. Pin placement sheets are provided daily, to indicate the hole locations. Hole diagram booklets are also standard on all carts. 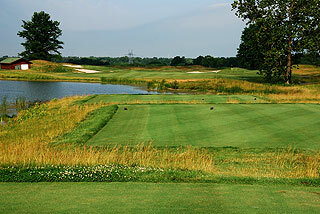 Purgatory is one of the most authentic links designs in the Indianapolis region. Great quality, service and amenities! 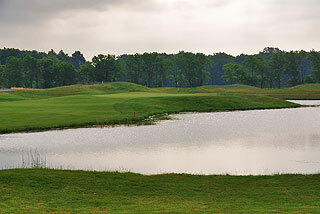 Purgatory was rated # 87 out of the Top 100 Courses You can Play by Golf Digest in 2004 and also was rated in the TOP 50 Women's Friendly courses in the US by Golfing For Women Magazine. For more info, visit our page for Purgatory, with direct link to their website by clicking here.